A Sammamish, WA Nanny will provide your children with a safe and happy environment! You can be sure that your children and home will be in great hands! Why Choose Our Seattle Agency? Where are the Best Seattle Nannies? "What impressed me the most about working with ABC Nanny Source was the level of detail and organization in which such confidential information was presented. I received an extensive profile of each nanny candidate prior to her coming to my home for an interview. Once each nanny arrived at my door, I was fully relaxed because I felt I already knew the person in front of me! That’s how detailed these profiles were. The process was made very easy for our family and within a matter of days, I hired the perfect nanny for our children!" Pamela is a Sammamish, WA Nanny because caring for children comes naturally for her! 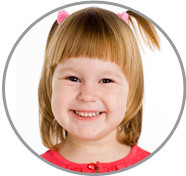 “I am so happy to recommend Pam for a position as a Sammamish, WA Nanny. Like any parent, I had a lot of worries and doubts when it came to leaving my son with strangers for the first time. Fortunately, my fears were alleviated the moment I stepped through the door of Pam's day care. Pam is a warm, compassionate person. All of the children in her care were happy and sociable, and the typical squabbles you would expect with toddlers were mediated immediately and calmly by Pam. My son was only 7 months old when I first brought him in and although he was crying when I left he didn't cry for very long. Pam ended up taking care of my son full time until he reached kindergarten. He attended full time kindergarten and was either with or many times ahead of the other children academically as a direct result of the environment Pam provided. Pam was always coming up with creative art projects, interactive play and other enriching activities. She is intelligent, kind and a great listener. I could not have asked for a more capable, caring person. She is trained for every situation, developmental milestone and emergency. Pam is a loving and dedicated individual. My son loves "Miss Pam" to this day and we would recommend her for anyone who wants the children in their care to get the love, education, social skills and fun they deserve!" Feel free to call 206-219-0529 today to speak with a placement counselor in more detail so you can find your Seattle Nanny right away!